Dr. Humaidan presents the POSEIDON classification, including detailed discussion of groups 3 and 4. 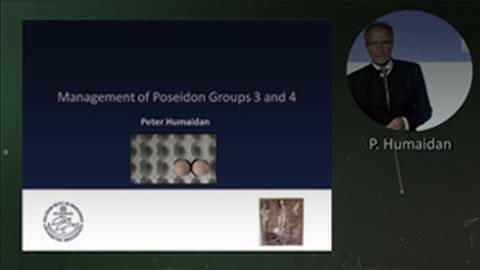 Join Dr. Peter Humaidan in this live presentation entitled Management of POSEIDON Groups 3-4, delivered during EXCEMED’s international workshop, From Poor Response to Low Prognosis Concept: The New POSEIDON Criteria held in Athens Greece 13-14 October 2017. This presentation includes a detailed discussion of groups 3 and 4 as designated within the POSEIDON classification.